Circumpolar prehistoric foodways by isotope and element analyses. Comparative gatherer-hunter-fisher archaeology in the northern and southern temperate and sub-arctic, and arctic areas, with emphasis on social and economic relations. The Northern Fennoscandian Stone Age. Analytical methods with emphasis on computer-based quantitative methods, including multivariate statistics, spatial analysis on both local and regional scales, and geographical information systems (GIS). Blankholm, Hans Peter. In the wake of the wake. An investigation of the impact of the Storegga tsunami on the human settlement of inner Varangerfjord, northern Norway. Quaternary International 2018. ISSN 1040-6182.s doi: 10.1016/j.quaint.2018.05.050. Blankholm, Hans Peter. The Early Economy and Settlement in Northern Europe - Pioneering, Resource Use, Coping with Change: New Investigations.. Equinox Publishing 2017 ISBN 9781781796054.s 1 - 12. Blankholm, Hans Peter. Macro-Level Predictive Modelling of Early Stone Age Pioneer Settlements in Varanger, Northern Norway.. Equinox Publishing 2017 ISBN 9781781796054.s 77 - 101. Blankholm, Hans Peter. Reflections on the Early Mesolithic of Troms, Northern Norway,in the Light of recent Excavations and Research.. Fennoscandia Archaeologica 2017. ISSN 0781-7126. Blankholm, Hans Peter. МАКРОУРОВНЕВОЕ ПРЕДИКТИВНОЕ МОДЕЛИРОВАНИЕ РАННИХ ПОСЛЕЛЕДНИКОВЫХ СТ ОЯНОК НАЧАЛЬНОГО ЭТАПА ЗАСЕЛЕНИЯ В ВАРАНГЕРЕ, НОРВЕГИЯ. 2016 ISBN 978-5-9907515-8-3.s 66 - 74. Blankholm, Hans Peter. Macro-level predictive modeling of early post-glacial pioneer sites in Varanger, Norway.. 2015 ISBN 978-88-8341-607-1.s 65 - 74. Deravignone, Luca; Blankholm, Hans Peter; Pizziolo, Giovanna. Predictive Modelling and Artificial Neural Networks: From Model to Survey.. CRC Press 2015 ISBN 1482226820.s 343 - 359. Blankholm, Hans Peter; Bratrein, Håvard Dahl; Arntzen, Johan Eilertsen; Lind, Keth. Forord. 2013 (XXXIV) ISBN 978-82-7142-064-2. ISSN 0085-7394.s 3 - 6. Blankholm, Hans Peter. Fra gamle historiske kart til geografiske informasjonssystem (GIS). 2013 (XXXIV) ISBN 978-82-7142-064-2. ISSN 0085-7394.s 7 - 27. Blankholm, Hans Peter. Plugging the Gap: Early Metal Age in the Ostu Mountain Pass, Troms, Northern Norway. Fennoscandia Archaeologica 2011; Volum XXVIII. ISSN 0781-7126.s 19 - 37. Blankholm, Hans Peter. WALKABILITY ANALYSIS: A HEURISTIC ALTERNATIVE METHOD TO PATHWAY MODELLING. British Archaeological Reports - International series 2009; Volum 2029. ISSN 0143-3067.s 61 - 66. Blankholm, Hans Peter. Long-Term Research and Cultural Resource Management Strategies in Light of Climate Change and Human Impact. Arctic Anthropology 2009; Volum 46 (1-2). ISSN 0066-6939.s 17 - 24. Blankholm, Hans Peter; Barcelo, Juan; Estevez, Jordi; Hood, Bryan. Introduction: Tops of the World (ToW): the Dawn of a Concept. Arctic Anthropology 2009; Volum 46 (1-2). ISSN 0066-6939.s 1 - 7.s doi: 10.1353/arc.0.0015. Blankholm, Hans Peter. The Stone Age of the southern- and middle Troms region in Norway in its northern Fennoscandian context. 2008 ISBN 978-91-977213-1-8.s 9 - 22. Blankholm, Hans Peter. Southern Scandinavia. Cambridge University Press 2008 ISBN 978-0-521-85503-7.s 107 - 131. Blankholm, Hans Peter. Earliest Mesolithic Site in Northern Norway? A Reassessment of Sarnes B4. Arctic Anthropology 2004; Volum 41 (1). ISSN 0066-6939.s 41 - 57. Blankholm, Hans Peter. Presab.A new method of spatial analysis.. Helinium 1993; Volum XXXIII (1). ISSN 0018-0009.s 3 - 19. Blankholm, Hans Peter. Maglemosekulturens hyttegrundrids. En undersøgelse af bebyggelse og adfærdsmønstre i tidlig mesolitisk tid.. Aarbøger for nordisk oldkyndighed og historie 1984. ISSN 0084-585X.s 61 - 77. Blankholm, Hans Peter. The Early Economy and Settlement in Northern Europe. Pioneering, Resource Use, Coping With Change.. Equinox Publishing 2017 ISBN 9781781796054.s 231 - 274.s doi: 10.1558/equinox.30727. Blankholm, Hans Peter; Bratrein, Håvard Dahl; Arntzen, Johan Eilertsen; Lind, Keth. Nord-Norge i Europa - Arkeologi, historie og kulturvern: Venneskrift til Reidar Bertelsen. 2013 (XXXIV) ISBN 978-82-7142-064-2. ISSN 0085-7394.s 7 - 27.s doi: Undertegnede har skrevet 80% av teksten i artikkelen. Blankholm, Hans Peter. Målsnes 1 - An Early Post-Glacial Coastal Site in Northern Norway. Oxbow Books 2008 ISBN 978-1-84217-343-5. Blankholm, Hans Peter; Arntzen, Johan Eilertsen. Rapport over forskningsutgravning av Skjåvika, ID 215524, Båtsfjord kommune, Finnmark fylke - 2017. 2018. Blankholm, Hans Peter. Intrasite spatial analysis past and present: an overview. Computerapplications in Archaeology-2015 2015-03-30 - 2015-04-03 2015. Blankholm, Hans Peter. Joint Proxies: The Dawn and Implementation of a Concept.. Canadian Archaeological Association Annual Meeting 2015 2015-04-29 - 2015-05-03 2015. Arntzen, Johan Eilertsen; Blankholm, Hans Peter. Her finner de spor etter de første bøndene i Troms. (fulltekst) 2013. Blankholm, Hans Peter; Arntzen, Johan Eilertsen. Graver ut 10 000 år gammel boplass. (fulltekst) 2013. Blankholm, Hans Peter. Arkeologi og forhistorie på Brensholmen og Sommarøy. Lokalhistorisk arrangement 2011-05-29 - 2011-05-29 2011. Blankholm, Hans Peter. Polar Archaeological Network. (fulltekst) 2011. Blankholm, Hans Peter. Arkeologi og Forhistorie i Dividalen. Forskningsdagene 2011-09-28 - 2011-09-28 2011. Blankholm, Hans Peter. Utgravingsrapport. Lombolnes 1 & 2, Lille Rostavatnet 1, 2011. 2011. Blankholm, Hans Peter. Predictive Macro-Level Modeling: How to Integrate Proxies for Good Preservation Conditions. 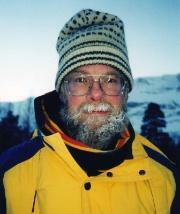 Global Climate Change and the Polar Archaeological Record 2011-02-15 - 2011-02-16 2011. Skandfer, Marianne; Blankholm, Hans Peter; Hood, Bryan; Sommerseth, Ingrid. LARM: Resultater og refleksjoner etter feltsesongen 2011. Forskningsseminar i arkeologi 2011-10-21 - 2011-10-21 2011. Blankholm, Hans Peter. The use of digital geological maps for computerized predictive modelling of archaeological site locations. Forskningsseminar 2010-03-19 - 2010-03-19 2010. Stenberg, Espen Bless; Blankholm, Hans Peter. Nye historiske funn på Leina. 2010. Størkson, Ole Egil; Blankholm, Hans Peter. Norske Røtter. 2010. Blankholm, Hans Peter. Utgravningsrapport. Leinavasshytta 4, 2010. 2010. Blankholm, Hans Peter. Utgravningsrapport. Leinavasshytta 1, 2009. 2010. Blankholm, Hans Peter. Testing a predictive macro-level model of early pioneer settlements in varanger, North Norway. SciencePub Final Annual Meeting 2010-11-23 - 2010-11-25 2010. Blankholm, Hans Peter. Tidlig Metalltid ved Leinavatnet. Forskningsseminar 2010-05-07 - 2010-05-07 2010. Blankholm, Hans Peter. Kunsten å overleve klimaendringer. Vin & Viten 2010-05-05 - 2010-05-05 2010. Blankholm, Hans Peter; Hood, Bryan; Kleppe, Jan Ingolf. Pionerbosetningen. CAS-Conference 2009-10-13 - 2009-10-16 2009. Hald, Morten; Blankholm, Hans Peter. Kunsten å overleve klimaendringer. Nordlys 2009. ISSN 0805-5440. Blankholm, Hans Peter. Fra Målsnes til Leina og Store Rosta. Streiftog gjennom fortiden i indre Troms. Jul i Bardu og Målselvdalen. Årbok 2009. 2009; Volum 47. Murray, Maribeth S.; Grønnow, Bjarne; Blankholm, Hans Peter. The Polar Archaeology Network - Plans for 2010. IASC Bulletin 2009. International Arctic Science Committee (IASC) 2009. Blankholm, Hans Peter. Rapport over utgravningen av Grindvollen, Tuft 4. 2009. Blankholm, Hans Peter. IDRISI ANDES Manual for Satellite Image Analysis. 2009. Blankholm, Hans Peter. Pionerbosetningen på Nordkalotten. 2009. Blankholm, Hans Peter. Klimaendringer vs Kulturarv. 2009. Blankholm, Hans Peter; Sojtaric, Maja; Hood, Bryan; Kleppe, Jan Ingolf. Livet etter istiden. 2009. Blankholm, Hans Peter. Pionertiden i det nordlige Fennoskandia: Motivasjon, Innflytting og Tilpasning. Nummedal Symposiet 2009-03-18 - 2009-03-20 2009. Blankholm, Hans Peter. Nye perspektiv på prediktiv modellering. IAR Forskningsseminar 2009-05-15 - 2009-05-15 2009. Blankholm, Hans Peter. Predictive Macro-level Modelling of Early Holocene Pioner Settlements in Varanger, Norway. IPY-SciencePub Årsmøte 2009 2009-11-09 - 2009-11-11 2009. Murray, Maribeth S.; Blankholm, Hans Peter; Grønnow, Bjarne; Myrup, Mikkel; Zurro, Debora. The Polar Archaeology Network (PAN). Integration of Retrospective Observational Time Series in International Arctic Observing Activities. CAS-Conference 2009-10-13 - 2009-10-16 2009. Blankholm, Hans Peter. Walkability analyse: Et heuristisk alternativ til Pathway Modelling. Computer Applications in Archaeology - Norway (CAA-Norway) 2008-10-20 - 2008-10-21 2008. Blankholm, Hans Peter. The Early Pioneer Settlement of Northern Fennoscandia. European Association of Archaeologists 2008-09-16 - 2008-09-20 2008. Blankholm, Hans Peter. Tidlig Metalltid ved Leinavatnet, Indre Troms. Norsk Arkeologmøte (NAM-07) 2007-11-08 - 2007-11-10 2007. Blankholm, Hans Peter. Berit Valentin Eriksen (ed. ): Stenalderstudier. Tidlig mesolitiske jægere og samlere i Sydskandinavien (Stone Age Studies. Early Mesolithic Hunters and Gatherers in Southern Scandinavia). Norwegian Archaeological Review 2007; Volum 40 (1). ISSN 0029-3652.s 108 - 110. Blankholm, Hans Peter. Stone age studies. Early Mesolithic hunters and gatherers in southern Scandinavia. Norwegian Archaeological Review 2007; Volum 40. ISSN 0029-3652.s 108 - 110. Blankholm, Hans Peter. Rapport over utgravning av Stryket 10, 2006. 2007. Blankholm, Hans Peter. Rapport over rekognoseringer ved Alte/Leinavatnet 2005-06. 2007. Blankholm, Hans Peter. Rapport over utgravningen av Grindvollen, 2005-2006. 2007. Eide, Frithjof; Blankholm, Hans Peter. I bakkekontakt med steinalderen. 2007. Eide, Frithjof; Blankholm, Hans Peter. En annerledes sekstimeter. 2007. Blankholm, Hans Peter; Grønnow, Bjarne; Hacquebord, Louwrens. The Idea of an Arctic Archaeological Network. Canadian Association of Archaeologists Meeting 2007 2007-05-16 - 2007-05-20 2007. Blankholm, Hans Peter. The Stone Age of Central Northern Norway in its Fennoscandian Context: A Regional research Project. Canadian Association of Archaeologists Meeting 2007 2007-05-16 - 2007-05-20 2007. Blankholm, Hans Peter. On the Development of Long-Term Research and CRM Strategies in the Light of Climate Change. Tops of the World: Theory and Method in Arctic, Subarctic, and Subantarctic Archaeology. 2006-10-30 - 2006-11-01 2006. Sojtaric, Maja; Blankholm, Hans Peter. Pionerene på Nordkalotten. 2006. Blankholm, Hans Peter. Resultatet av de seinere års utgravninger ved Alte- og Leinavatnet. Populærvitenskapelig foredrag 2005-11-30 - 2005-11-30 2005. Blankholm, Hans Peter; Steenstrup, Erling. Intervjuet som "Morragjest" i forbindelse med utnevnelse av Cambridge Biographical Centre til medlem av "2000 Outstanding Intellectuals of the 21st Century". 2005. Solhaug, Randi; Blankholm, Hans Peter. På Boligjakt med Bøtte og Spade. 2005. Blankholm, Hans Peter. GIS and the Arctic Dark Season. Computer Applications in Archaeology 2005 2005-03-21 - 2005-05-23 2005. Blankholm, Hans Peter. Sarnes B4 and the pioneer settlement of northern Norway. Vuollerim Workshop. Archaeology of settlements and landscape in the Barents Region 2004-12-03 - 2004-12-05 2004. Blankholm, Hans Peter. ArcGIS Manual til GIS i fortid, nåtid og fremtid. 2004. Blankholm, Hans Peter. Rapport over rekognoseringer ved Alte/Leinavatnet 2004. 2004. Blankholm, Hans Peter. Rapport over rekognoseringer ved Målselvfossen 04. 2004. Blankholm, Hans Peter. Samarbeid med Argentina - noe for deg?. Tromsøboka 2004 (7). ISSN 1501-7516. Blankholm, Hans Peter: 1991. Intrasite Spatial Analysis in Theory and Practice. Aarhus University Press. Århus. Blankholm, Hans Peter: 1996. On the Track of a Prehistoric Economy. Maglemosian Subsistence in Early Postglacial South Scandinavia. Aarhus University Press. Århus.